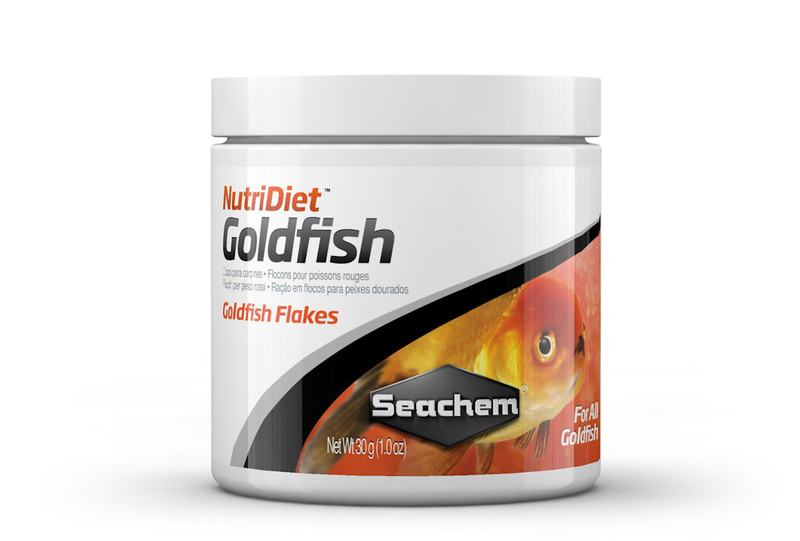 Goldfish Flakes also contain proteinates and hydrolysates which allow for more rapid and simplistic digestion of the partner nutrients. Less energy is required by the fish to digest the food. The food is more completely digested which reduces unnecessary waste in the system which is common to keeping Goldfish. This also allows for more nutrient uptake and increased immune function. Lastly, patent pending compounds complete the formulation to enhance immune function further as well as extend life potential, promote natural growth, and enhance the color of fish. Ingredients: Fish Protein Concentrate, Whole Fish Meal, Wheat Starch, Rice Flour, Wheat, Pea By-Product Meal, Soy Protein Concentrate, Grain Distillers Dried Yeast, Limestone Ground, Garlic, Soy Lecithin, Choline Chloride, Guar Gum, Chlorella Algae, Emulsifier, Yellow 5 Lake, Xanthan Gum, Xanthophyll, Manganese Proteinate, Zinc Proteinate, Copper Proteinate, Calcium Iodate, Iron Proteinate, Cobalt Proteinate, Calcium Carbonate, Sodium Selenite, Vitamin A Acetate, Vitamin D3 Supplement, dl-Alpha Tocopheryl Acetate (Vitamin E Supplement), Vitamin B12 Supplement, Riboflavin, Niacin, Calcium Pantothenate, Menadione Sodium Bisulfite Complex (source of Vitamin K Activity), Folic Acid, Thiamine Mononitrate, Pyridoxine Hydrochloride, Biotin, Anise Oil, L-Ascorbyl-2-Polyphosphate (source of Vitamin C), Beta Carotene, BHA (Preservative).